Brazil’s new president Jair Bolsonaro officially took office on January 1, 2019. While some call this far-right politician A Brazilian Donald Trump, others believe that Bolsonaro is the one to revamp Latin America’s largest economy. Making Brazil economy more open to international trade and investment is among the primary objectives on the agenda of the newly elected president. Will that help the biggest economy of the LatAm region to emerge from the recession finally? It’s hard to tell yet. The one thing is sure: since Brazil plays a significant role in Latin America economy, the new presidency will undoubtedly affect the rest of Latin America. – What to expect for Brazil economy in 2019? – What are the biggest challenges economy of Brazil is facing in 2019? – How Brazil’s economic affects the rest of Latin America? These are the questions we will be answering in the article. Stay tuned. What to expect for Brazil economy in 2019? Brazil’s newly-elected president Jair Bolsonaro started his term on a positive note. At the World Economic Forum in Davos, he presented his ambitious vision for a “new Brazil.” In his speech, the new president of the biggest LatAm country said that his major goal would be to make Brazil one of the top 50 countries in the world to do business with by the end of his term. Right now Brazil ranks 184 out of 190 countries in the World for doing business, so many experts think that this goal is far too optimistic. Nevertheless, to many, it looks like Brazil’s economy is finally facing a brighter future after several years of recession. In its recent quarterly inflation report, The Brazilian Central Bank estimates 2.4% GDP growth in the coming year. In 2020 they forecast the growth to be 2.5%. The historically low levels of inflation in Brazil also benefit the gradual economic recovery. Brazil’s unemployment rate also went down, which also suggests that the country’s economy is on its way to recovery. At the end of 2018, the unemployment rate in Brazil dropped to 11.6% from 13.7% – reports the Trading Economics. This number is far from reaching the December 2013 low of 6.2 %, but the newly-elected president has positive expectations about it. What are the biggest challenges economy of Brazil is facing in 2019? However, realistically, the road to Brazil’s economic recovery might be a bit rockier than what newly-elected president pictures. Over the last few years, Brazil’s economy has suffered a significant recession. Brazil’s fiscal health is still the most urgent issue that the largest country in Latin America is facing. One of the biggest reasons that triggered Brazil’s economic crisis was increased public spending. The previous Liberal government increased expenses and minimum lower wage, which made state-run banks lend more. Taxes and prices on food, transport, and gasoline were also reduced. As a result, this triggered the major inflation, that soon outpaced the raised minimum wages. Having said that, Brazil is coming into 2019 with $34 billion deficit, which puts the country in danger of another crisis within a year or two. Only the significant spending cuts (like pension system Reforma) and tax increases can prevent another economy failure, and this is on the agenda of the new president. While new president’s administration is trying to figure out how to pay out high public debts, Brazilian households are struggling just as much with high debt-servicing cost. Back in the early 2000s when the Brazilian economy was booming, household debt was 18.4% of household income. Today this value has risen to 41.9%, which slowed private consumption growth and small businesses development. On the other hand, because Bolsonaro pledged to increase international trade and economic growth through signing new bilateral trade agreements, Brazil’s stock market rose 10% since October 2018, according to Trading Economics. Just like the most Latin American countries, Brazil is a very resource-intensive economy, and it is tight very much to its commodities. In a way, Brazil and other LatAm economies are very interdependent. So when in 2015-2016 Brazil economy went through a major commodities bust cycle, so did other economies of the region. But having said that, the LatAm countries that survived the commodity downturn is expected to perform much better in 2019, as they are coming into the cycle of economic expansion. To reinforce ties with other economies even more, the newly-elected Brazilian president has promised to form new trade agreements. In the past, Brazil used to have a reputation of one of the most challenging countries in the world to trade with. The regulations for importing goods and laws for opening and running a business in Brazil presented many obstacles for overseas businesses. Bolsonaro aims to change this. As we already mentioned, he plans to make Brazil one of the top 50 countries in the world to do business with. Because Brazil shares borders with every South American country except for Ecuador, and Chile, it’s economic connections with the LatAm region are very close. In 2018 alone Brazil exported $239.9 billion worth of goods around the world. Big portion of these goods was shipped to other Latin American countries: Argentina: $15 billion (6.2%), Chile: $6.4 billion (2.7%) and Mexico: $4.5 billion (1.9%). If newly-elected president implements everything he has on his agenda, including the new free trade agreements, other Latam economies like Argentina will also gain more competitiveness. On the other hand, if Bolsonaro ends the fiscal deficit, privatizes some state companies, reduces public spendings and simplifies the tax system, like he plans to, it would make Brazil the true star of the LatAm region. As a result, Brazil and the region may become more attractive to foreign investors. 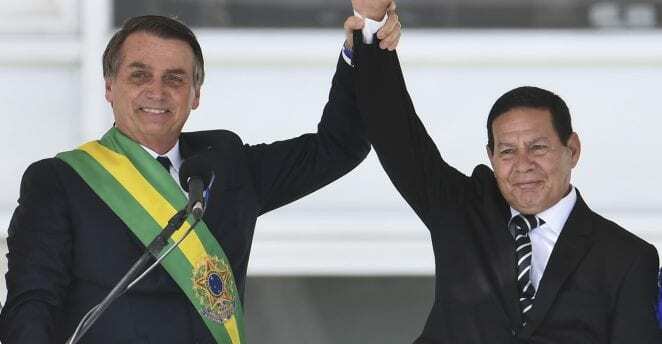 Bolsonaro presidency can also affect domestic politics in LatAm countries. Because a lot of LatAm countries have similar challenges like Brazil (significant decrease in economic activity, high crime rates), they might get inspired by the Brazilian phenomenon of conservative nationalism and start adopting these ideas as well. It comes without saying: Bolsonaro’s victory will definitely affect the whole region of Latin America. Depending on whether or not the new president will be able to follow through on his agenda, there could be either new economic opportunities for the region or a new set of challenges.